It all starts with an idea. Sometimes, it comes from a problem. You want to contribute to society, or you wish to change how things run. As iOS or Android developer in the Philippines, you understand that these things aren’t simple. To implement those changes, you must have the right app you to publish on Google Play or in Apple App Store. The job isn’t over after you publish the app on either of these platforms. You must still follow the mobile app development process. The process isn’t the same for each app as they begin to have a life of their own. They are almost similar to a living breathing organism. They require mobile app developers to become hands-on to cope with new strategies, designs, and concepts. With that, go back to the beginning – the birth of your idea. How can you turn it into reality? How can your mobile app development plan be a success? Learn about the factors that influence your mobile app development process by taking note of the items on this list. As a developer, you must first identify which platform best supports your grand idea. Though Google Play Store and Apple App Store serve the same function, they have different guidelines. You can view the description, icon, logo, screenshots or image gallery, and a snippet or a trailer of the app on both platforms. However, there are few elements that differentiate one from the other. For instance, businesses generate more income when they first release their app on the App Store than in Google Play Store. In terms of description, Google Play Store gets more taps because of their read more button is in a prominent position. You can find the description hidden above the image gallery and screenshots. The App Store, on the other hand, optimizes their description for iPhone screens. You can read the description directly without needing to tap on a button or scroll down. In terms of screenshots or image gallery, Apple App Store has an advantage because the Play Store places them below the fold. These factors play a part in your app’s user engagement. The setup of the platforms can influence how people respond to your app. Moreover, the platforms are also essential when thinking of other factors such as monetization, security, and the availability of different types of apps. For your idea to become successful, you must first conduct audience research. Knowing your audience involves understanding the industry and getting in-depth knowledge about the people that might take an interest in your apps. It is important because users tend to be diverse. You must track the demographics of the users of your app. That way, you can identify the age, gender, relevant businesses, and potential customers you can target. If you want your app to solve a problem, you should not base your decisions on assumptions. Guessing users’ tastes and preferences lead to poorly executed app development. You can make an approximation of the gender that is likely to use your app, but it’s best if you conduct surveys, look into online communities, and use tools to get to know your market. Creating different personas also helps you visualize the needs of different users. It helps you identify which parts of the project you must prioritize and which features to include in your app. Apps don’t come out of thin air. They start as brilliant ideas. Unfortunately, not all ideas become great and successful once you turn them into an app. Remember that working on an app development project requires money, effort, and time. Therefore, you must first examine your idea before you can begin working on it. You must first check if your design is unique. With thousands of apps on both platforms, you are sure to find one that already has the concept you have in mind. Besides being unique, your app idea must satisfy a need. There’s no use wasting your resources if no one needs and wants your concept. Of course, you must also find out if your idea has a lot of competition. It may be difficult to break through in a saturated market. Most of all, you must be able to differentiate your idea from the what’s already available on the platforms. It must also be able to resolve the weaknesses of the existing competitive apps. A Nielsen survey on consumer preference for mobile apps vs. mobile sites found that Indian consumers prefer apps that personalize their experience. You can improve your app idea when you research your audience as well as your competition. It helps strengthen your app idea and push you to exhaust your brain juices to generate innovative solutions. To properly execute your app idea, you must come with a plan. In this case, you must have a solid app development strategy. A cohesive strategy answers all the questions you have towards the app development process. It clarifies how much of the design work you will undertake for the app development. It covers your timeframe for working in the project. It also factors in the technology you will use to develop your app idea. Part of your app development strategy must include the strengths and weaknesses of each mobile device. You need all of these to step up your game and help you execute an app development plan. If you over or underestimate in any of the factors, your app can end up becoming a failure. User interface (UI) and user experience (UX) are part of what keeps users hooked on an app. 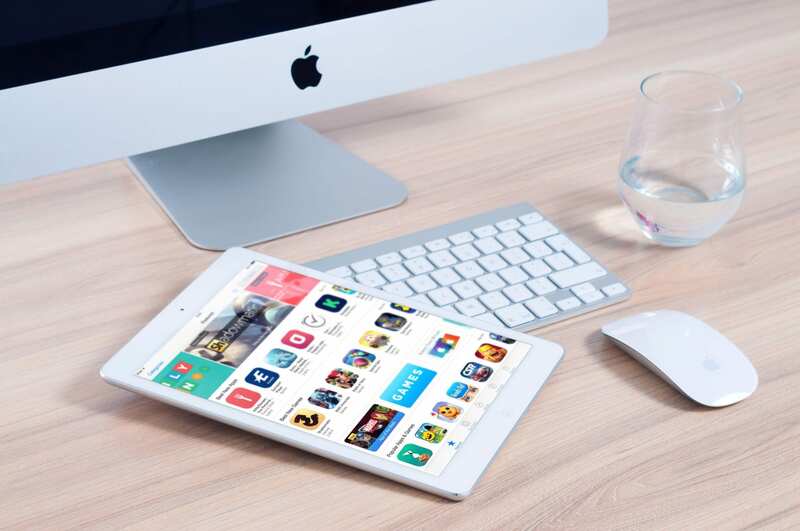 According to the founder and CEO of Apps Discover Technologies, Ashish Bahukhandi shared that successful apps are those that provide a hassle-free experience aside from serving its purpose. Users prefer apps that are “handier” compared to those that require too much effort to operate. Navigation and usability aren’t the only ones that matter to the users. They are also receptive to several UI/UX factors. For instance, an app with low res images, slow loading times, broken sign up/ login functionality and app navigation, and poor connectivity to social profiles are all signs of poor UI/UX. Unnecessary micro-interactions, lags or unresponsive clickable elements, inappropriate spaces, and mismatch fonts types and size are some of the factors you should watch out for when developing your app. Developing and designing your mobile app idea is only half of the job in your mobile app development journey. You must also run a few tests to ensure your design runs smoothly. It’s a way to secure that your mobile app has no exceptions and bugs. If you launch your app without testing it, you can run into problems that can spark fires that are difficult to put out. There are seven ways to test your app and check if it doesn’t have bugs. You should see if each of the app’s function. Each time you add a function, you must see if the existing features are still working correctly. You must also look into the app’s integrations and usability. It’s also important to find out if your app is compatible with different platforms and devices. Most of all, you should test if the app functions properly at the user’s end before going live. Avinash Tiwari, Co-founder and Director of pCloudy, states that developers must know the app development ecosystem. You must stay informed of the latest updates in OS versions as well as market trends. These practices help you anticipate problems with latest released apps. You should always check release notes to identify potential issues that can encourage users to abandon your app. Security must be part of your app development process. Users should not have to think of the threat of malware when they use your app. Thus, you should leverage the security features of the device’s OS. You can also keep the user’s information safe through encryption. You should also restrict your app’s permissions to a minimum. Always prioritize security to ensure your app isn’t vulnerable to external threats. You still have work to do after you publish your mobile app. You must be hands-on with fixes, performance improvements, changes, and integrating new features. As a developer, you must track crashes and look at technical information to help you resolve the problems users encounter. You can also check into analytics as well as recommendations and reviews by users to see how well the market responds to your app. The information you get from these platforms is what you need to identify trouble spots and make room for improvement. Whether you are an iOS app developer or you have a passion for Android apps, you will go through or experience the things listed above. You’ll find that your idea branches out expand into something tangible. Your idea is now an app that does what you intend it must do. When that happens, you can be proud of your mobile app development journey.